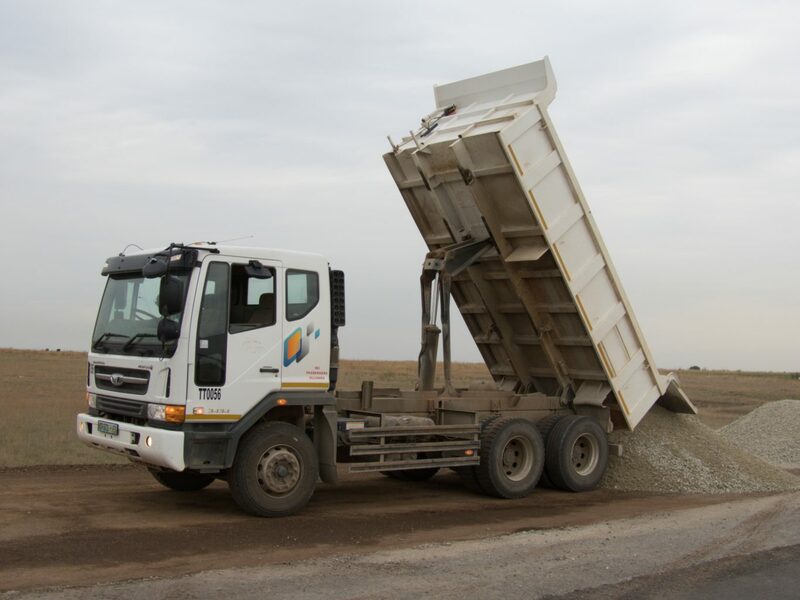 Faster trip times coupled with faster tip times – that’s just one of the reasons why Jamil Saley, Operations Director of SedBuild, a Vereeniging-based company involved in road construction and other civil engineering work across South Africa, recommends Daewoo’s Novus K5DEF tipper. Having purchased earlier this year 10 of the Korean manufacturer’s trucks to join the company’s 56-strong fleet, Saley says it was his positive experience of older models and the structuring of the purchase, as well as service and support from the dedicated Daewoo team that motivated him. On the latter point he says it’s the remarkable performance of the Novus’s 340 horsepower engine that helps to move a fully laden truck efficiently and speedily between pick-up and delivery points, while tip times compared with those of rival brands are quicker, too. He points out that a modification suggested by SedBuild to Daewoo to relocate the Novus’s rear lights on the units purchased was made without question. “We felt the original positioning made the lights too vulnerable to damage and asked if they could be recessed – Daewoo complied,” he says.